Illegal logging is one of the main drivers of species degradation and contributors to global warming. This practice negatively impacts forest stakeholders at international and local level. 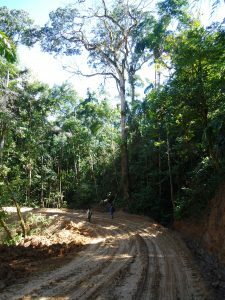 Effective control strategies are required to counteract illegal harvesting and trade of tropical timber. Stable isotopes, chemical properties, and DNA are non-manipulative tree characteristics and have the potential to be used for tracing geographical origin. The implementation of sustainable forest management in Bolivia through developing complementary methods to detect illegal logging was the overall objective of a PhD thesis recently completed by Dr. Kathelyn Paredes at Wageningen University, supervised by Prof. dr. Pieter A. Zuidema. In the following, we will introduce Kathelyns’ thesis and its most significant results to offer you information on the state of the species Cedrela in Bolivia, the combination of different wood identification methods to track both wood species and origin, as well as legal frameworks like CITES. Illegal trade of tropical timber leads to economic and biodiversity losses worldwide. It has been estimated that 10% to 80% of the total timber trade is illegal and, in some countries, such as Papua New Guinea, Liberia, and the Amazon countries, this percentage could be as high as 80-90% of all logging operations. 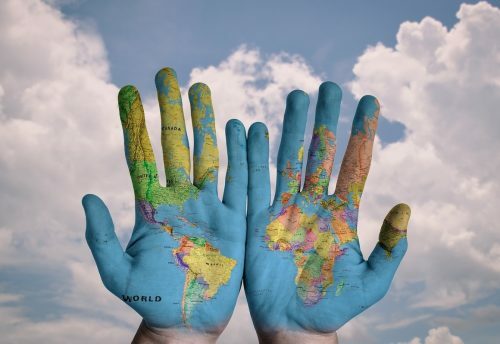 To date, the most common type of fraud concerns false declarations of species and geographic origin, as current legal procedures are generally based on certificates and documents which can be falsified. Most legislative measures focus on combating international illegal trade but a high proportion (70-90%) of illegal tropical timber is traded in domestic markets. 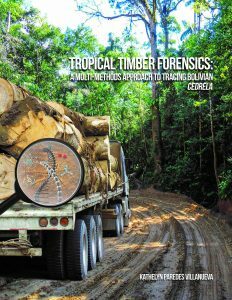 With concerns about sustainable procurement of tropical timber, clearly there is a need for effective control strategies and forensics tools to independently verify the source of traded timber in compliance with international and national regulations and counteract the illegal harvesting and trade of tropical timber. To this end, chemical analysis (Direct Analysis in Real Time Time-of-Flight Mass Spectrometry,) genetics (microsatellites) and stable isotopes (δ13C and δ18O) were applied in Kathelyn’s thesis as they allow tracking the origin of timber. In her study, she selected one of the major South American timber genera, Cedrela, that includes species which are listed in the Convention on International Trade in Endangered Species of Wild Fauna and Flora (CITES) to assess the potential for timber tracking based on chemical analysis, DNA techniques, and stable isotopes composition of wood. The genus Cedrela (Meliaceae) delivers one of the most important Neotropical timbers (tropical cedar), but illegal logging of Cedrela has resulted in CITES-listing of several species in this genus. As a result, timber from these species can be traded internationally only if the appropriate permits have been obtained and presented for clearance at the port of entry or exit. The problem is that CITES-listed and non-listed Cedrela species are harvested and traded under the same name and are often confused due to wood-anatomical similarities. For authorities enforcing CITES, methods to differentiate Cedrela species are needed. Bolivia harbours as many as six Cedrela species, in different climatic zones, from moist to dry tropical forests, and from low to high altitudes: Cedrela angustifolia Sessé & Moc. Ex DC., Cedrela balansae C. DC., Cedrela fissilis Vell., Cedrela montana Moritz ex Turcz., Cedrela odorata L., and Cedrela saltensis M.A. Zapater & del Castillo. Cedrela species are highly valued locally and used in carpentry, fine furniture, doors, windows, joinery, musical instruments, carvings, coatings and plywood. 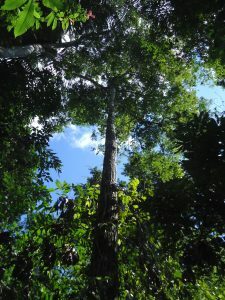 However, Cedrela populations have declined considerably in recent years due to over-exploitation and exportation of large quantities of timber obtained from these species. As a result, out of the six species, three are currently listed in Appendix III of CITES: C. odorata, C. fissilis and C. angustifolia (listed as C. lilloi C. DC.) Despite legal harvesting limitations, these species remain at high risk because of continued illegal logging and timber trade. The high incidence of illegal trade indicates that control systems have limited effectiveness and methods for independent verification of species and legal origin are needed. To assess the potential of chemical properties in wood for species and geographical origin identification, Kathelyn used two approaches: Direct Analysis in Real Time (DART) coupled with Time-of-Flight Mass Spectrometry (TOFMS) and stable isotopes (δ13C and δ18O). First, in DART analysis (Chapter 2), the mass spectrometer identifies the chemical components by the differing mass to charge (m/z) of ions/compounds from specimens. Heartwood samples from six Cedrela species (the three CITES-listed species plus C. balansae, C. montana and C. saltensis) were collected at 11 sites throughout Bolivia. 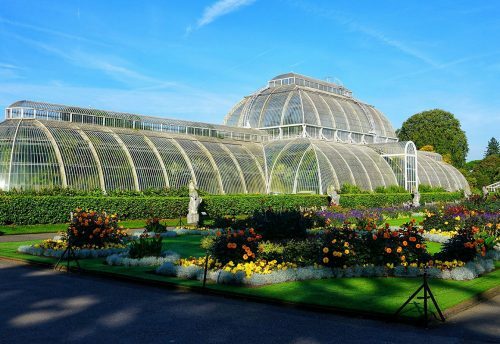 The resulting chemical spectra detected by DART-TOFMS comprised 1062 compounds; their relative intensities were analysed using Principal Component Analyses (PCA), Kernel Discriminant Analysis (KDA), and Random Forest analyses to check discrimination potential among species and sites. Species were identified with a mean discrimination error of 15-19%, with substantial variation in discrimination accuracy among species. The lowest error was observed in C. fissilis (Mean=4.4%). Site discrimination error was considerably higher: 43-54% for C. fissilis and 42-48% for C. odorata. These results provide good prospects to differentiate C. fissilis from other species, but not so for the other tested species. Our findings suggest that discrimination is highly species specific and has no potential to geographically discriminate at the studied scale and for the studied species. 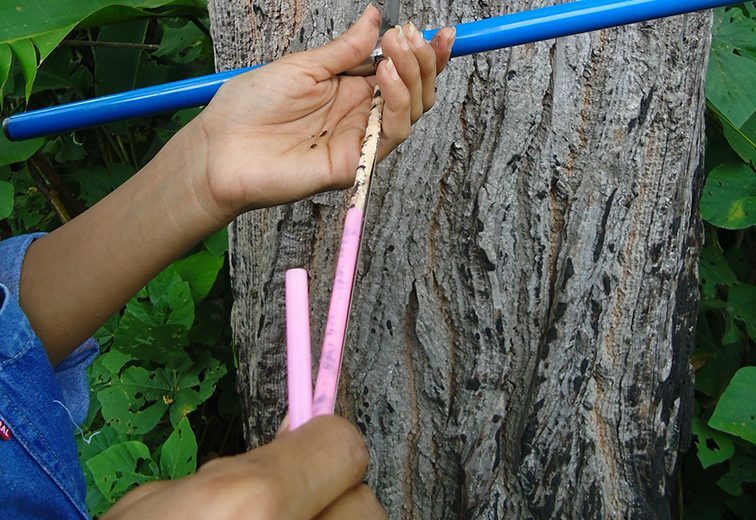 DART-TOFMS technique allowed the independent verification of claimed identity of certain Cedrela species in timber trade. Second, stable isotopes (δ13C and δ18O) were also analysed throughout the range of two intensively exploited tropical timbers: C. fissilis and C. odorata to evaluate potential as a provenance tool (Chapter 3). Kathelyn studied differences in δ13C and δ18O stable isotope signatures between 9 forest sites (145 trees sampled) to cover species distributions within Bolivia. The results suggest that it is possible to distinguish species based on isotopes, especially C. fissilis with high accuracy (93.8%). The researcher also assessed the relationship between the stable isotopes composition and precipitation and altitude, but did not find significant correlations between annual data and these variables suggesting that they may not always be the limiting factor of wood composition in the sampled trees. However, 10-year-bulk data did show higher correlations suggesting that long-term and more stable data better represented site-specific isotopic composition. To explore the isotopic site differentiation, a KDA was used and resulted in a low discrimination success: 37.5% accuracy for C. odorata and 29.5% for C. fissilis sites. This suggests that discrimination of geographical origin was not possible due to low differentiation among sites because of species and site-specific isotopic imprints. Our findings suggest that other variables – besides rainfall and altitude – might be controlling isotopic signatures. This strengthened the importance of identifying the variables with most influence on isotopic variation before their use as proxies. To assess the potential of genetic tools for identification of geographical origin, Kathelyn used micro-satellites (SSR). A set of eight SSR’s was applied to study if the spatial distribution and genetic variation were sufficient for discrimination of timber at a national level (Chapter 4). Cambium and leaves were sampled from 81 C. odorata trees from 3 sites, at 268-501 km distance. Genetic differentiation was assessed by Bayesian clustering and PCA. The PCA showed three distinct genetic clusters but only one of them corresponded with one of the sampled sites. The KDA based on allele frequency including all alleles had a 33.7% mean classification error, with a lower error (8.2%) for the site which matched with one genetic cluster. A blind test on site-unique alleles led to a similar accuracy (30%). The occurrence of multiple genetic clusters within sites suggested that Bolivian C. odorata populations contain several parental lines, resulting in limited potential for forensic genetic tracing at a national level. Finally, Kathelyn’s results using three different methods suggest that site and wood composition are highly species-specific. To assess if combining tools that answer the same question will improve accuracy, the researcher combined methods from samples with more data available: stable isotopes (δ13C and δ18O) and DART-TOFMS (Chapter 5). After applying KDA to the species and sites that have measurements of stable isotopes and DART-TOFMS, accuracy improved only in some cases. For species identification, combination of DART-TOFMS and stable isotopes improved the accuracy in comparison to the isotopic method but not in comparison to DART-TOFMS. For site identification, applying stable isotopes alone showed a slightly better performance than DART-TOFMS to discriminate Bajo Paraguá site but not for the rest of the sites (Roboré and Yapacaní). However, by combining both methods, accuracy for geographic origin identification was improved in 1-19% for two sites (Bajo Paraguá and Roboré) but showed higher error for one site (Yapacaní) in comparison to using each method individually. The findings suggest that a combination of methods to identify Cedrela species and sites could be favorable in some cases but detrimental in others. In conclusion, some of the factors that define timber tracing accuracies are not only the selection of the tracing techniques but also the statistical analysis approach, sampling design and scale of analysis. By expanding the database to other countries and by sampling in between sites Kathelyn hopes that will be possible to identify sites of origin at finer scales and with a higher precision. For this purpose a standardization of sampling procedures will be necessary. Kathelyn also highlights the importance of involving local stakeholders: joint forces fight against illegal logging more effectively. In her thesis she explored and compared different methods in the context of a tropical timber producing country like Bolivia. 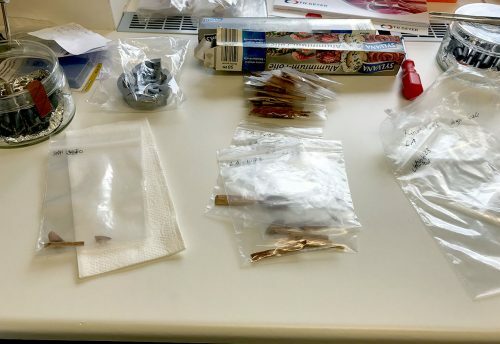 The results will provide more understanding of the techniques and tools for decision making on how and when they could assist with identification of timber species and geographical origin effectively. Eventually, the thesis will be online available here.